Product code: 428 Categories: Sold Items, Sold Jewellery. 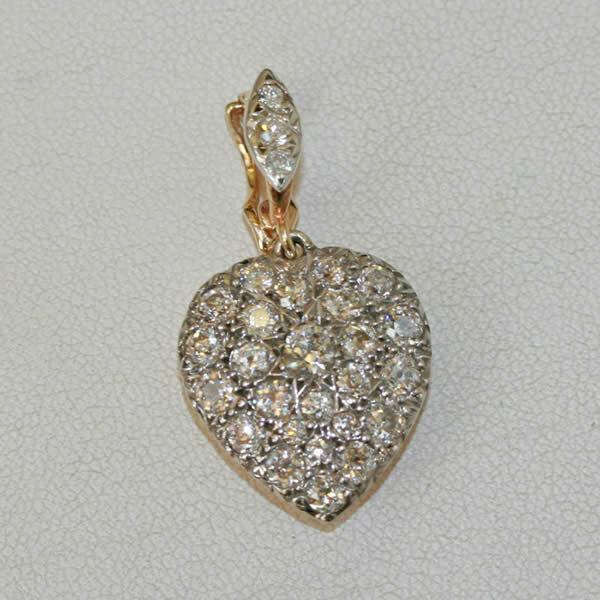 This very beautiful pendant is made in 15ct gold, and is set with 28 old cut diamonds, weighing an impressive 2.00 carats in total. It looks sensational on an antique piece, as well as modern cable link necklaces, and has the added bonus of being able to be worn as an enhancer on such things as pearls. Such a beautiful piece such as this does not come along often, and it is so versatile in its use.